Broadway is one of the most picturesque of all the towns and villages in the Cotswolds, and also among the most vibrant shopping towns. With a wide road running through it, wonderful and versatile shops, restaurants and museums on both sides, and hotels and B&B’s plus Broadway holiday cottages, this town is popular with locals and visitors alike, and with good reason. 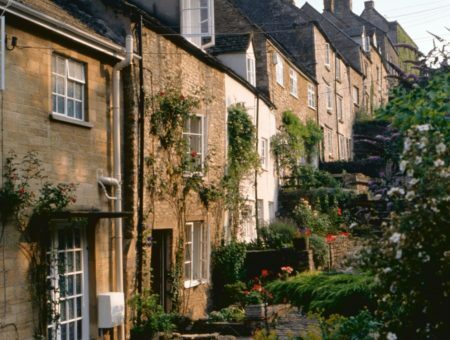 This picture-perfect Cotswold town has it all, it would seem. Apart of it’s good looks, it also has a real abundance of fabulous shops, great restaurants, cafes and tea rooms, interesting museums and one of the most famous hotels in all of the Cotswolds, The Lygon Arms, where you simply must take in Afternoon Tea when visiting this part of the region. One of the most iconic buildings in the Cotswolds is The Broadway Tower. Set on the top of a pre-medieval trading route and beacon hill, the tower was built 1798 for George William 6th Earl of Coventry who was advised by Capability Brown and architect James Wyatt. Today The Broadway Tower is a great visitor- and tourist attraction in the Cotswolds, visited by most of those who come to the area. On a clear day you can see 14 different counties from the top of the tower, but even on the most overcast and rainy day, the views are simply spectacular and certainly not to be missed. The Ashmolean, not to be confused with it’s more famous namesake The Ashmolean in Oxford, is located right on the High Street in the centre of Broadway. It is a museum that very much unites and celebrates the local community and history. Most of their exhibits showcase landscape, cultural traditions and the history of Broadway. 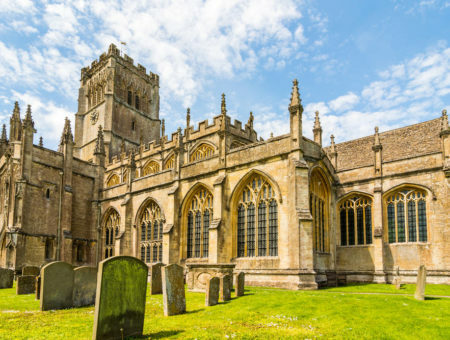 This museum is a must if you’re interested in the history and past of Broadway, one of the best-loved Cotswold towns.All collections in this local museum is curated by The Ashmolean in Oxford. Gordon Russell was a pioneer in furniture design throughout the early to mid 1900’s where he, from his and his company’s base in Broadway, championed some of the most accessible and well-crafted design pieces, most of which live on to this day. The Gordon Russell Museum in Broadway that is dedicated to his genius, is located in his original workshop and it quite simply celebrates his life, his work and his legacy on contemporary design. As High Streets go, the one in Broadway is right up there with the good and the great. While maintaining it’s status as tourist town with a varied selection of shops that cater for the needs and wants of visitors from all over the world, it manages to also meet the requirements of locals with a wide range of clothing shops, kitchen shops, home wares stores and grocery stores and delis. And once you’re done shopping, you can turn your attention to the many galleries and museums where local as well as national and international artists show their work, and you can visit one of the many restaurants or cafes for a great meal. Whatever you’re in town for, whatever you fancy, you most certainly will find it in Broadway. Chris says, “My family and I love shopping and dining in Broadway. It’s such a beautiful place and with so many fantastic eateries, shops and attractions, we can’t ask for more”. No hotel in the Cotswolds is as famous as The Lygon Arms right in the centre of town, and going here for Afternoon Tea when visiting Broadway will be an experience not soon forgotten. The hotel has hosted celebrities and royalty from the 1600’s all the way to today. It’s heyday was in the 1950’s and 1960’s when the likes of Richard Burton, Elizabeth Taylor and Cary Grant came to stay. With their finger on the pulse when it comes to designer home wares. With all the hottest brands in designer gift- and home items, Cotswold Trading on the High Street in Broadway is THE shop to go to if you’re looking for the perfect gift, for yourself or for someone else. Sonja says, “It’s one of my favourite shops in all of the Cotswolds. I can’t go near Broadway without stopping by Cotswold Trading”. The public playground in Broadway is, quite simply, the mother of all playgrounds. Split into 5 sections, each catering for a different age group from toddlers to adults, this £300.000 is nothing short of AMAZING! 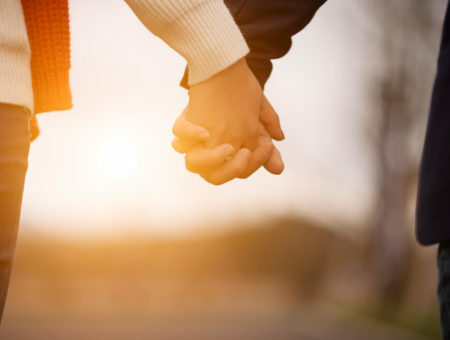 So are you in or near Broadway with kids of literally any age, the playground in Broadway is the perfect place to spend anything from half an hour of fun play to half a fun-filled day having brought a blanket, picnic basket and refreshments. The playground is down the pathway right next to the Ashmolean Museum. Mette says, “We’ve been to the Playground in Broadway with our kids and with family and it is incredible. We keep coming back and we live a good 25 minutes away”. You’re in Broadway and you’re looking for a fantastic pub meal and a cosy “country style” there’s only one place for you: The Swan. With a varied menu, super service and a great atmosphere, you’ll love The Swan and keep coming back again and again. Is fine dining what you’re after in Broadway, Russell’s is the place to go. Run by Andrew Riley, a true local food hero with a flair for the finer things in life, the menu and wine list at Russell’s will leave your taste buds satisfied. Dining at Russell’s is a culinary experience. What Russell’s is for fine dining, Russell’s Fish & Chips is for the take away and you don’t even have to take it away, because you can actually choose to dine in. Russell’s makes the best Fish & Chips for miles and miles around. Whether served in a newspaper or on a plate with a glass of bubbly, you will love this famous fish restaurant in Broadway. One of the most fabulous shops in Broadway is for the little ones. Rikki Tikki is a fabulous toy shop on Broadway’s High Street. With the best of the major toy brands rubbing shoulders with some of the very best of the independent toy brands, this toy shop is an experience for you as well as for the kids.